A fully interactive teaching facility at Northumbria University is getting a £750,000 make over which will see the facility become one of the biggest and best in the country. Established 15 years ago, the Clinical Skills Centre at the University is used to teach a range of healthcare professionals; it has been at the forefront in the advances of simulation-based education as a learning and teaching methodology. Providing realistic safe learning environments for students to practice their skills, it plays a pivotal role in their education and training and offers, through simulated learning, an invaluable experience of “real life” healthcare situations. As such it is used extensively in our programmes for undergraduate/pre-registration students, as well as for postgraduate/post qualified medical, health and social care professionals as part of their continuing professional development. Four flexible simulation suites each with their own control room and observation capability. A dedicated simulation suite comprising an anaesthetic room, operating theatre, recovery room, observation and control room. Four simulated environments, including a ward and home setting. An Immersive Interactive™ flexible learning space where images and video can be projected onto three walls to enhance realism and give a fully immersive, multi-sensory and interactive learning environment. The space incorporates a control room and observational area. Six flexible learning and teaching spaces that can flex from a classroom or observation room to a skills laboratory or a simulation environment. A dedicated learner zone that provides students open access to a learning space where they can practice and develop their skills prior to their exams; enhancing the student experience. The work – which has taken place over the past 12 months - also complements the current extensive range of task trainers and patient simulators with an array of new, state of the art technologies and equipment. These include a centre wide telecommunication system, a full HD audio-visual system, SMOTs™, with a series of fixed and mobile cameras, a succession of interactive monitor displays, and virtual reality headsets. The building work will be completed by the end of August. Northumbria University, Newcastle, hosted a delegation of leading medical doctors from China as part of a programme to learn more about medical education in the UK. Northumbria University’s highly successful Business Clinic has taken on a new dimension with a relocation to purpose-built, state-of-the-art premises in the heart of the city and a £150k boost from Santander Universities UK. 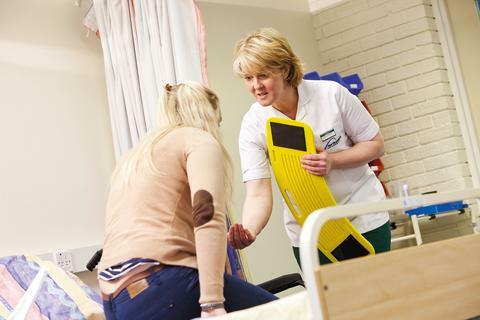 A new UK nursing course, launched last year, has recruited its second group of student nurses. Six nursing and midwifery students from Northumbria University, Newcastle have received prestigious awards for their efforts whilst undertaking their degree programmes. 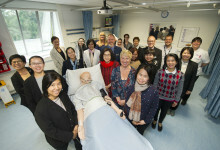 A delegation from Thailand’s Ministry of Public Health has visited Northumbria University, Newcastle, to see how the University is using simulation-based education as a learning and teaching methodology in a variety of professional contexts. A new smartphone app is being developed to help UK veterans find the services they need; whether that’s health services, jobs or housing.